The BlenderBottle® Classic™ revolutionized the industry back in 2004 with its leak-proof seal, iconic design, and the BlenderBall® wire whisk. Absolutely THE BEST way to mix powdered supplements, protein powder, etc with liquid - no lumps or clumps or residue stuck to the bottom of the cup when you're done. Add a bit of ice and you're all set. 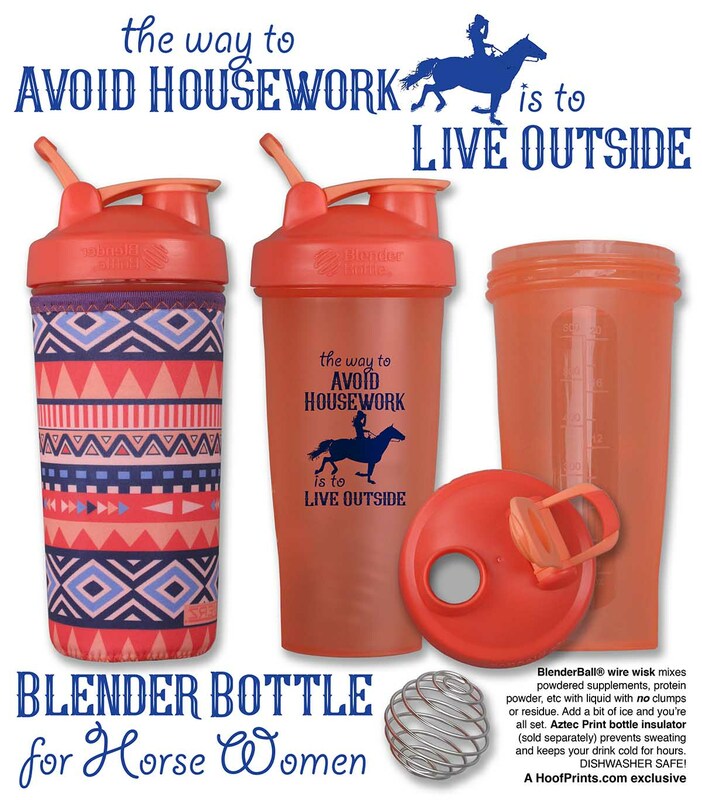 Aztec Print bottle insulator (sold separately) prevents sweating and keeps your drink cold for hours. DISHWASHER SAFE! Bottles hold 28 oz of liquid when filled to the cup brim. For aesthetic reasons, the measurement markings end sooner. For example, the 28-oz. bottle has markings up to 20 oz., even though the full capacity is still 28 oz. Aztec Print Insulator - Insulate your bottle and hydrate in style! Koverz insulators will not only keep your drink ice cold or piping hot for hours, they completely absorb that messy condensation.